Get organized. Keep on top of personal and team tasks from any web connected PC, Mac or mobile device. Get to-do lists, team project scheduling and more! Web-Based Project Management and Task Manager Enable Easy Online Collaboration. 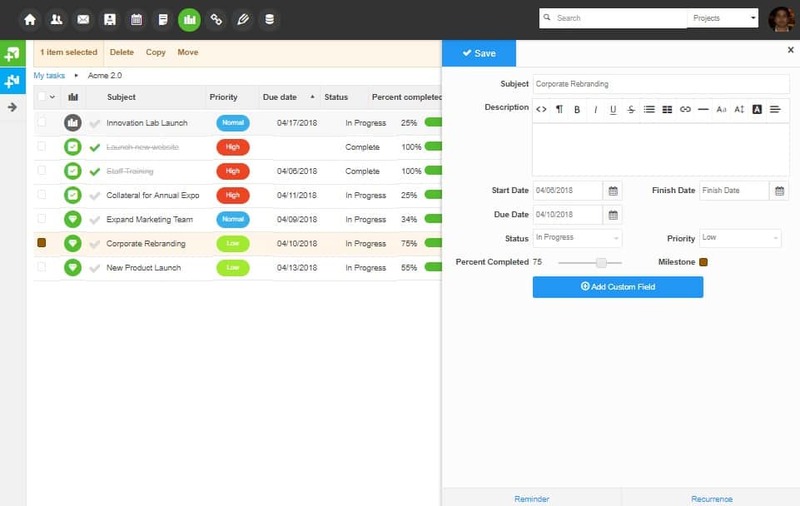 Using HyperOffice for Web-based project management can offer tremendous opportunities for the way your business handles workflow, task assignments, and project status. 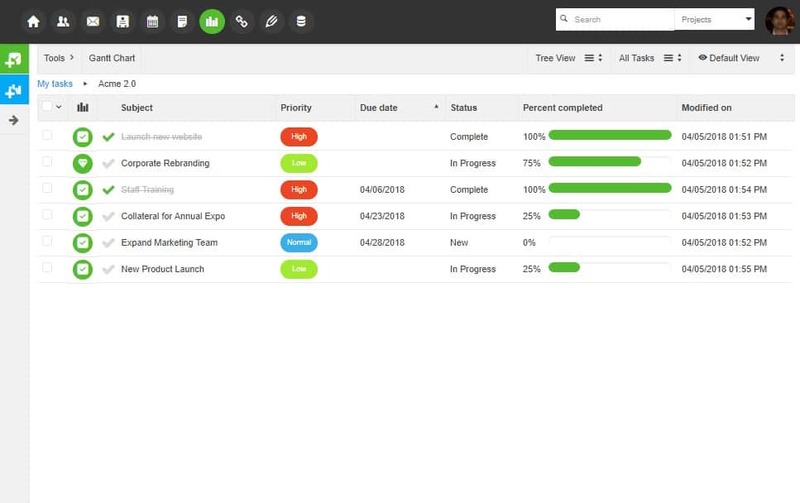 With the unlimited task and project creation features in HyperOffice, you’ll have complete visibility into what work is coming due, who’s responsible for it, and where it stands. And with the HyperOffice Task Manager’s online project management features, automated reminder options, and due-date warnings, there’s no reason to ever miss a project deadline again. You can create shared tasks for a group or personal tasks for yourself. Simply enter the task subject, any notes, relevant start and completion dates, the priority level, and workflow status. You have complete control over task management, including authorizing who can view each task, assigning tasks to group members, and modifying or marking tasks as completed. On group and personal homepages, HyperOffice provides a to-do list of open tasks, with one list for tasks you assigned, and another for tasks that are assigned to you. And you can have HyperOffice proactively remind you when a task is about due. You can group a number of tasks under a project name, description, and project folder, which provides a great way to manage and optimize your workflow. And there are no limits on the number of your projects in HyperOffice. For complex projects managers can create dependencies between tasks like “a cannot begin before b ends” and so on”. You can import and synchronize tasks with Microsoft Outlook using the HyperOffice Outlook Sync Tool. You can also export tasks to a spreadsheet program such as Excel. You can even synch tasks with mobile devices like Windows Mobile, iPhone, BlackBerry and more. Use our intuitive Gantt charts to display project milestones and bring projects into perspective. Drag and resize tasks to get them in order. Time to get started with your 15 day trial!